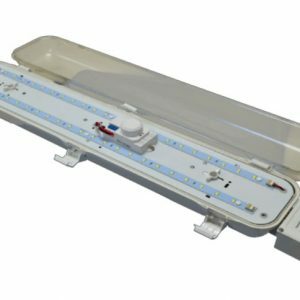 The Guardian VP2-20-BB 2ft Vapour Proof LED Emergency Light is an IP65 weatherproof and anti-corrosive luminaire. Certified to Australian Standards AS2293 in both horizontal and vertical mount modes. 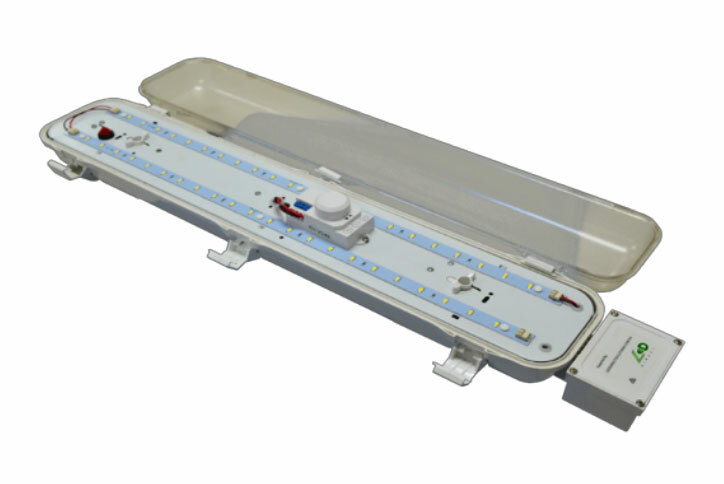 The Guardian VP2-20-BB provides significant energy savings for all Emergency applications. Fitted with a dimming sensor the unit operates typically at 6w while in stand-by mode, increasing to 20w upon presence detection. Both the case and the diffuser are manufactured in high quality polycarbonate to provide extra strength and durability. As standard the fitting is supplied with Poly- carbonate Clips but stainless steel is also available as an option.